You must be a member of the Berlin Cigars and Conversations Group to attend this activity. Would you like to join this group? Please join me to have a smoke this afternoon as we come to the close of January. 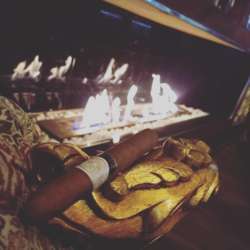 Take a chance to have some quiet, contemplative, relaxed cigar time. They have a fantastic selection of liquor and make great cocktails! A selection of cigars is available on site, so you don't have to have your own cigars. The store manager should be able to help you pick out a cigar, if he isn't available, I'd be happy to help as well. Beginners and non smokers are welcome. I will bring extra cutters and lighters.